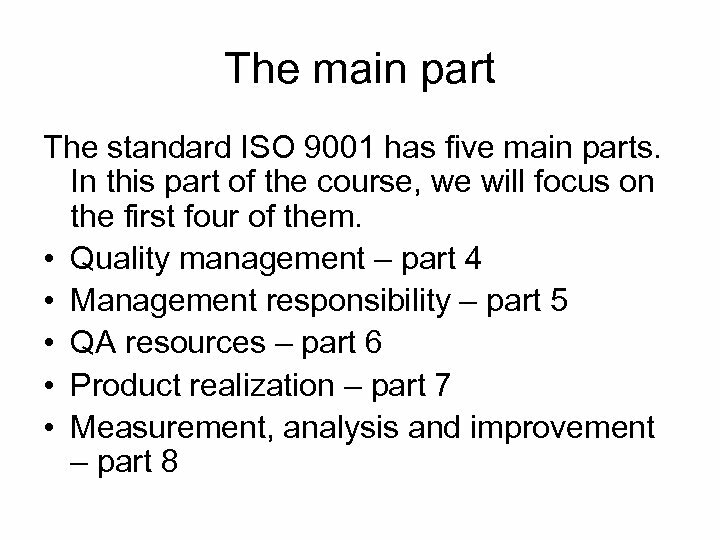 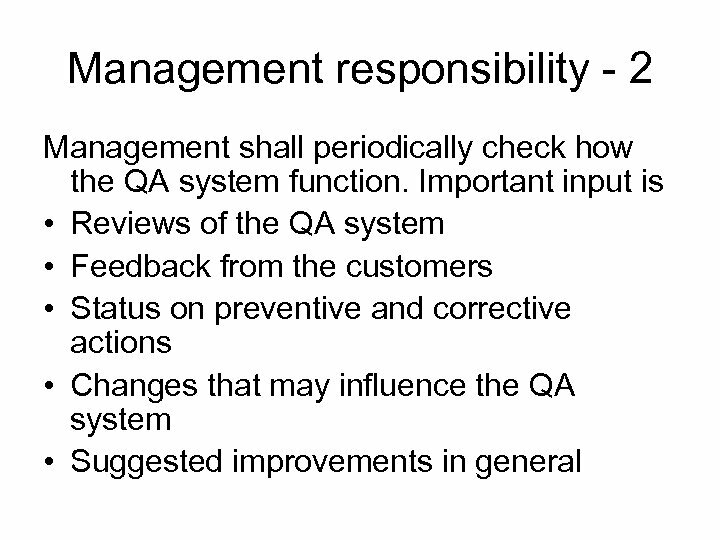 Management responsibility - 1 First and foremost – quality is the management’s responsibility. 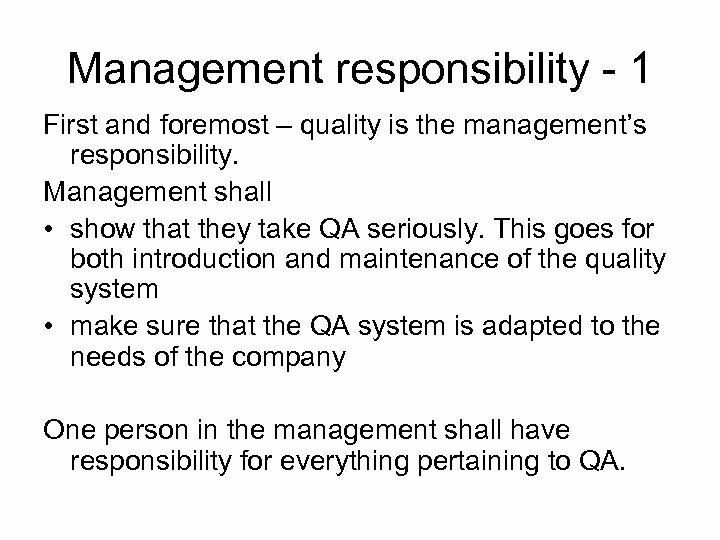 Management shall • show that they take QA seriously. 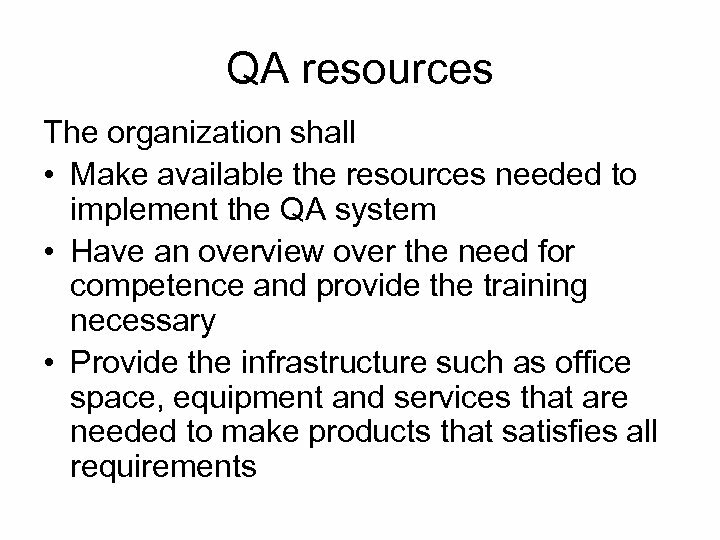 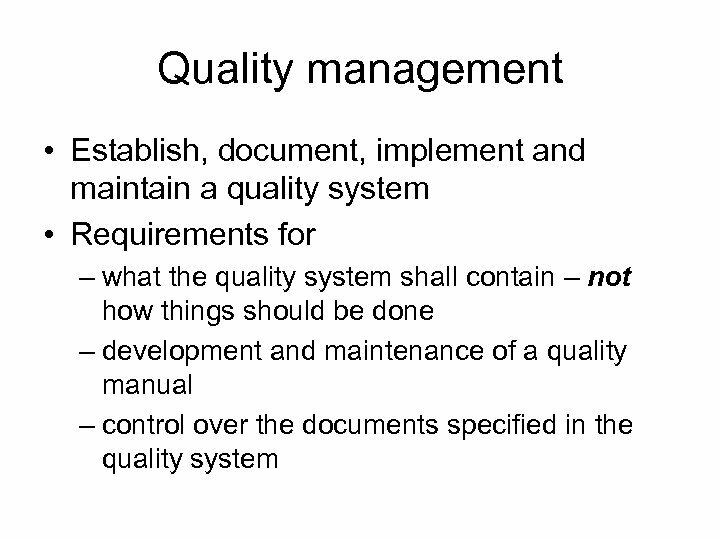 This goes for both introduction and maintenance of the quality system • make sure that the QA system is adapted to the needs of the company One person in the management shall have responsibility for everything pertaining to QA. 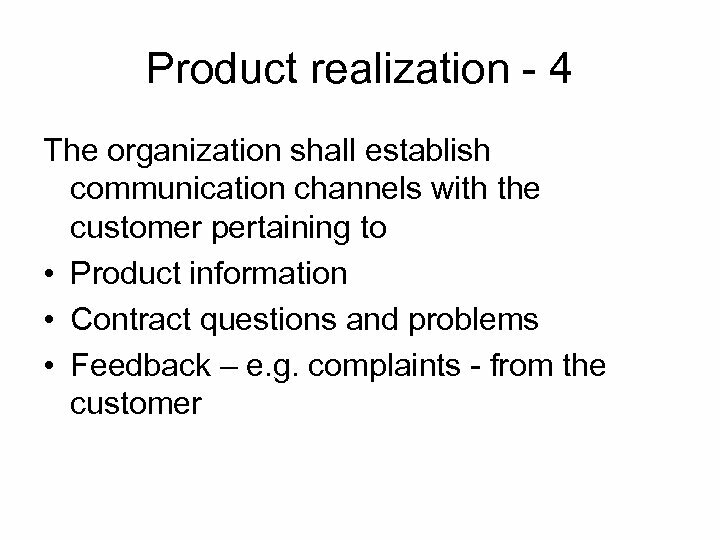 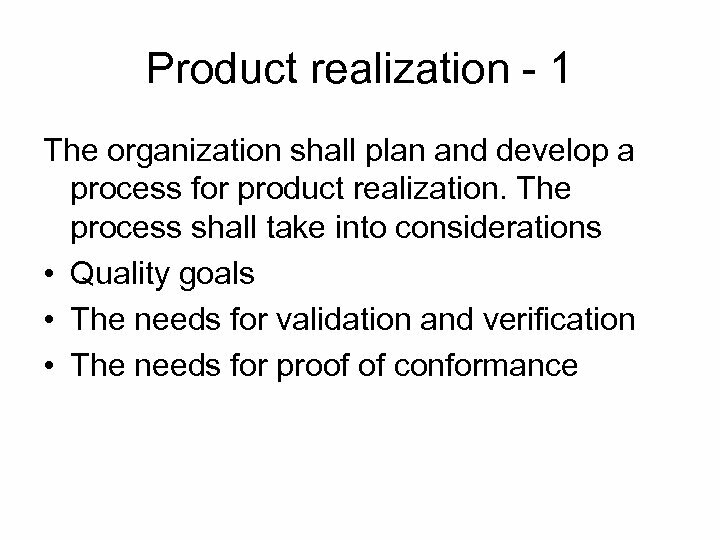 Product realization - 5 The organization shall plan and design the product. 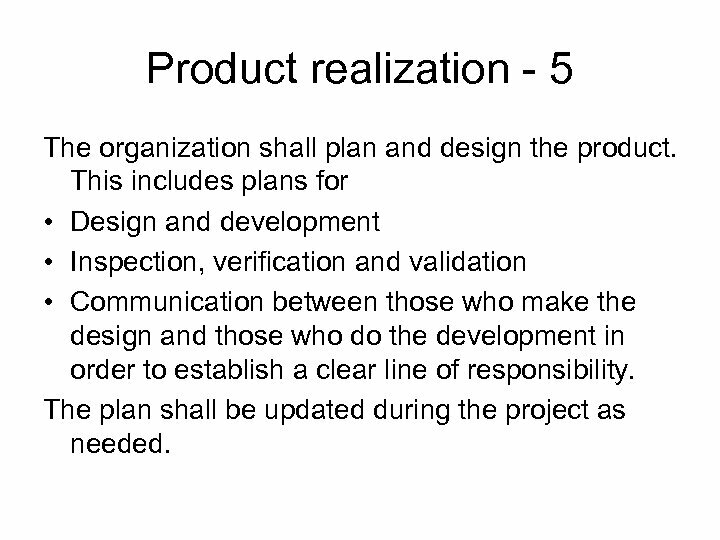 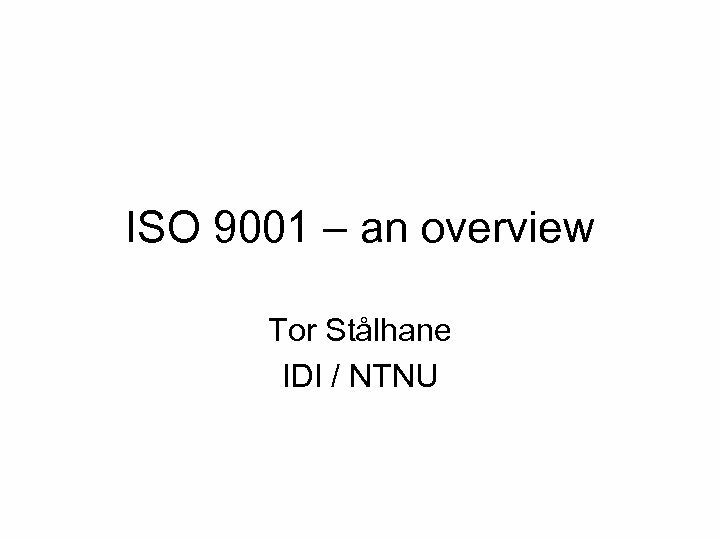 This includes plans for • Design and development • Inspection, verification and validation • Communication between those who make the design and those who do the development in order to establish a clear line of responsibility. 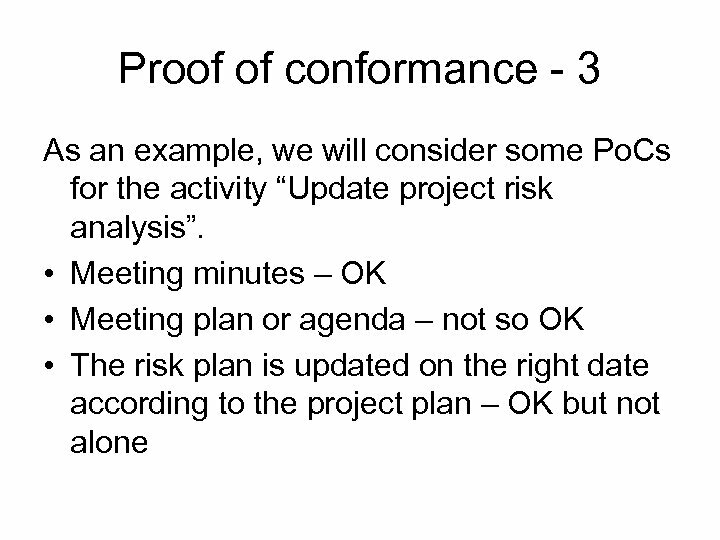 The plan shall be updated during the project as needed. 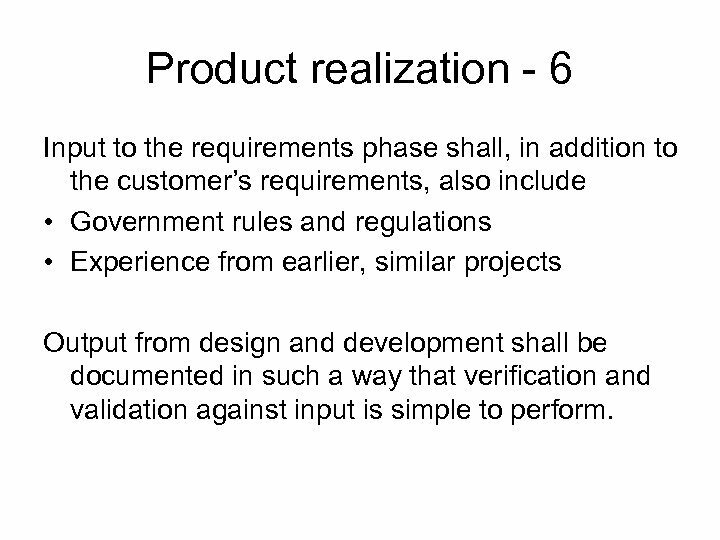 Product realization - 6 Input to the requirements phase shall, in addition to the customer’s requirements, also include • Government rules and regulations • Experience from earlier, similar projects Output from design and development shall be documented in such a way that verification and validation against input is simple to perform. 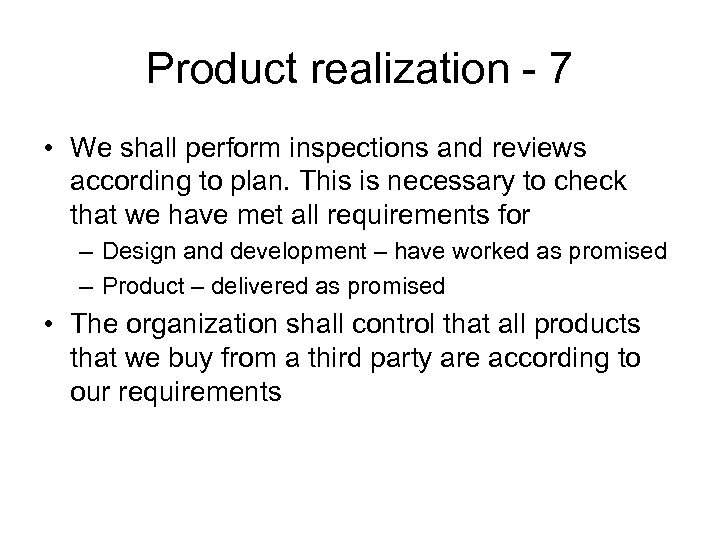 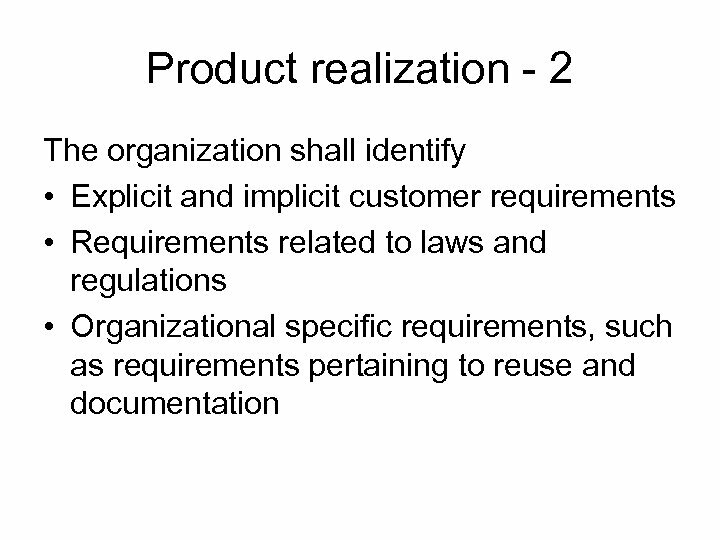 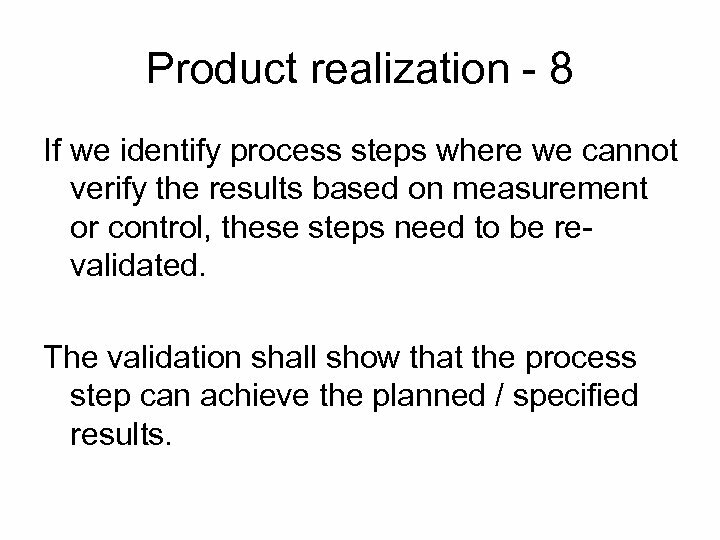 Product realization - 8 If we identify process steps where we cannot verify the results based on measurement or control, these steps need to be revalidated. 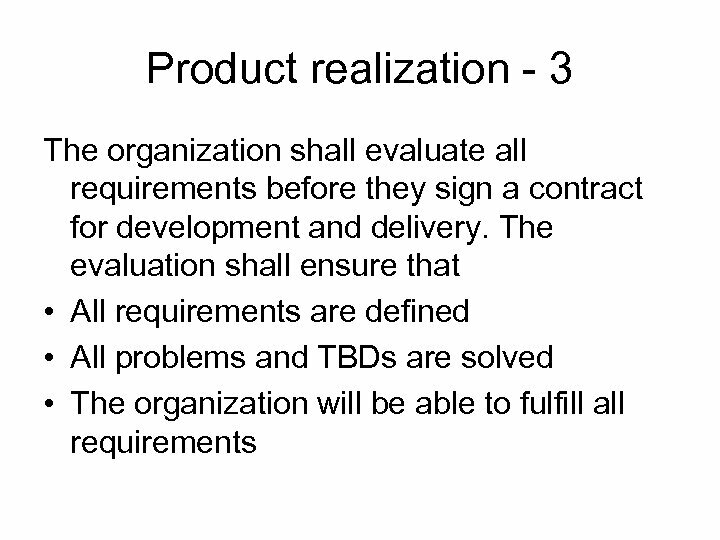 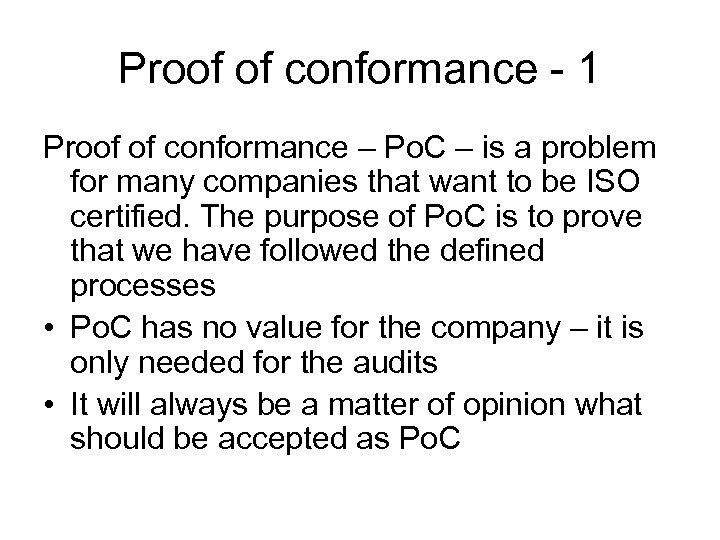 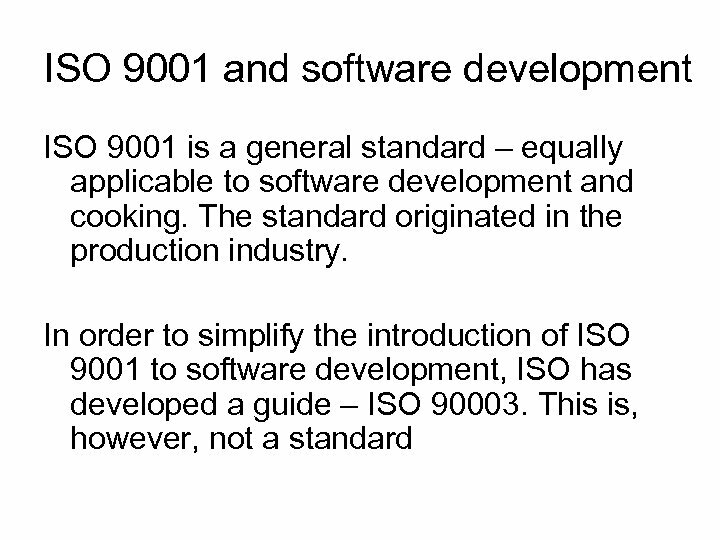 The validation shall show that the process step can achieve the planned / specified results.